Saint-Petersburg Historical Dance Club is in fact a successor of many dancing communities of Saint-Petersburg, both having names or nameless that used to involve and unite those, who have been keen on studying and recreating ancient dances for more than 10 years already. Since February 2001 till August 2006 all groups of the Club were part of Historical Dance School “Villanella”. We opened new academic year 2006-2007 in a new kind. There are those for whom historical dance is a guide to the world of the history of culture; there are those who regard it as a way to feel themselves persons of another world, age, ideology; many people are eager just to keep off everyday proceedings and join a cordial company. Anyway, for many years have we been together. Within our Club we deal not only with mastering and recreating dances, studying the etiquette, history, cultural history and preparing stage performances. 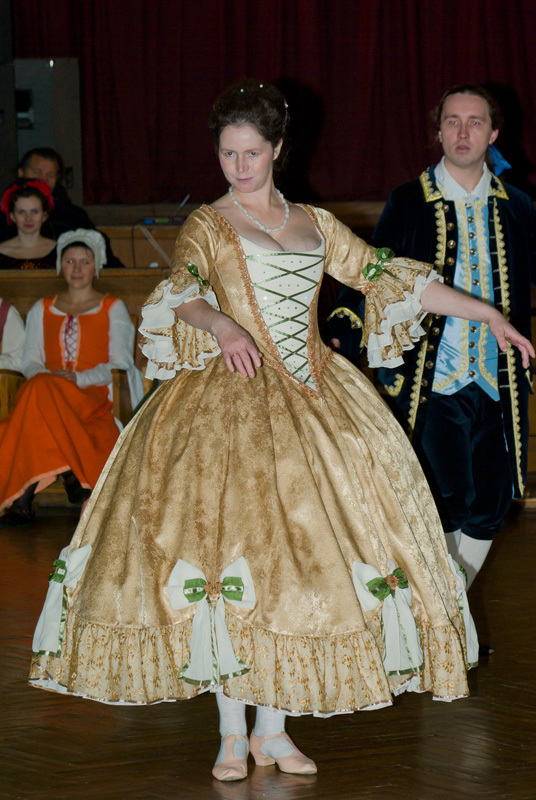 We also learn the history of costume (most our members some day begin to sew historical costumes), organize balls, perform shows and master-classes in other cities.